Nintendo has elected to send the Wii off to pasture this holiday with a price cut and brand new bundle. The Wii currently sells at $149.99, but it will hit $129.99 before the month’s end. The new Wii package will include Wii Sports and Wii Sports Resort on one disc, sold in black and it will include a Wii Remot Plus and Nunchuck controller. It will replace the current New Super Mario Bros. Wii console bundle. The unit is on its way to stores now, and Nintendo expects it will be widely available in the U.S. by October 28th. While I hesitate to talk negatively about a price cut for gaming hardware, the decision to drop the Wii by only $20 as this stage in its life span is a little baffling. Seriously, who could possibly be left among the roster of potential Wii owners? The console’s life span surged with massive sales. It’s become one of the best selling gaming consoles of all time, and it enjoyed an outstanding launch period. With all of that success comes one major point: everyone who wanted to own a Wii has likely already purchased the console. Dropping the price by $20 and adding a two game, one disc bundle probably won’t do much to attract new users. REDMOND, Wash.–(BUSINESS WIRE)– Nintendo is dropping the Wii console to a suggested retail price of $129.99 U.S. in advance of the busy holiday shopping season. The new configuration is beginning to arrive in stores now, and will be broadly available in the U.S. by Oct. 28. 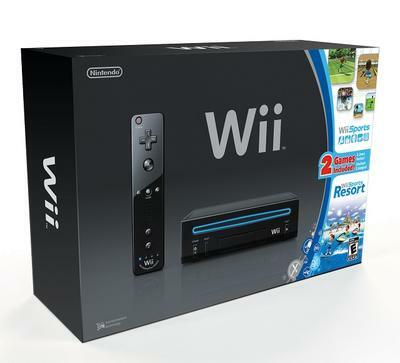 This high-value configuration includes a black Wii console and both Wii Sports andWii Sports Resort on a single game disc, as well as a Wii Remote Plus and a Nunchuk controller – both black to match the console. This configuration replaces the current black Wii that comes with New Super Mario Bros. Wii. Remember that Wii features parental controls that let adults manage the content their children can access. For more information about this and other features, visithttp://www.nintendo.com/wii.